From the beginning of the year, Princess Motor Yacht Sales will have a presence in Germany with our own sales office based at Ancora Marina Neustadt/Holstein. Our German Sales Manager is now looking for strong sales support within our Neustadt office. The successful candidate will support him in a wide range of activities, ensuring the smooth running of the office, while receiving clients and other visitors, whilst he is away from the office. The successful candidate will need to be extremely professional with the ability to communicate effectively with high-level clients in a timely manner. The maxim of Princess is “Experience the Exceptional!” so, as a representative of the brand, this must be your standard at all times. Besides organising the office, you will arrange client appointments on behalf of the sales manager. You will also manage the ordering of spare parts and repair works. Depending on your performance and qualifications, there may be the opportunity to develop further into a more sales-oriented role and to become more involved with yacht sales. As exceptional as our yachts are, the main objective of the role will be to ensure our office is manned permanently during main season. This will include weekends. Time spent in the office over the weekend will be compensated as time off in lieu. The same applies to your participation in local and regional fairs. We regard skilled use of established communication media, reliable mastery of MS Office and organisational abilities as essential. Communication with our parent company, the manufacturer and many suppliers are carried out in English – so you must be able to convince us with your reliable language skills and of course perfect written and spoken German at native level. Beside your salary expectations and start date, please send your your written application in both German and English (one PDF file) to stefan.wilms@princessmysales.com. For any questions regarding this job opportunity, please do not hesitate to contact our German Sales Manager Stefan Wilms on his mobile +49 (0)160-6161640. As our Aftercare division continues to grow, we have an ongoing requirement for Marine Engineers/Technicians both in the UK, (Plymouth or Hampshire area) or Mallorca. 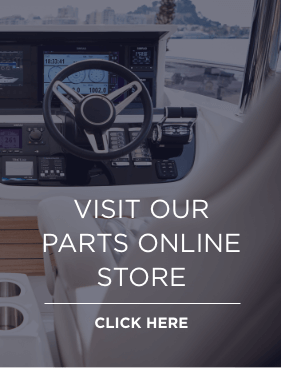 From a leisure background, you will be experienced working with a wide range of inboard and outboard products, from fault finding to servicing and engine rebuilds. Main brand training would be advantageous but not a necessity. On offer is a great role with a strong local brand with a great history in the local area.